Ray Beltran is fighting for much more than just a title shot. Sure, he’s real close to earning another opportunity at a lightweight belt. But outside the ring — sort of — another, much more important battle looms large. Beltran (33-7-1, 21 knockouts) immigrated to the United States (Phoenix, Arizona, to be exact) approximately 22 years ago, but he’s not a citizen. Rather, he’s stayed here on a P-1 work visa. At 36 years old, Beltran obviously won’t fight too much longer. In fact, the visa will expire in 2 ½ years, and with his family here (he lives in Phoenix with his wife, Lupe, and their three children: Edgar, Edwin and Eden) he needs to find a way to stay for good. That’s why continuing to win — and look impressive — is so important. 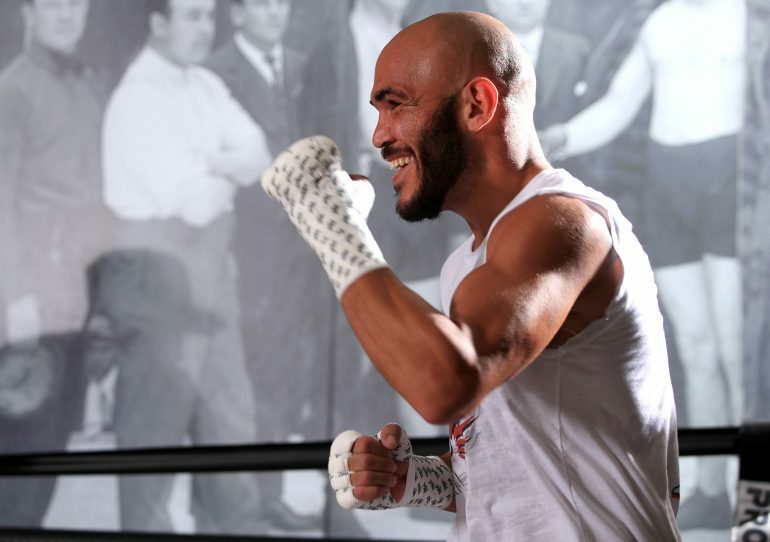 Beltran fights Bryan Vasquez (35-2, 19 KOs) on Saturday in Los Angeles in the ESPN co-feature, and shortly after the bout, if all goes according to plan, paperwork will be filed to obtain a green card. In order to qualify for one, immigration authorities need proof that the applicant has exhibited special ability in their field. And Beltran has no doubt done that to this point. He’s rated No. 8 by THE RING at 135 pounds and has reeled off four consecutive victories inside the distance since a near-shutout defeat to Terence Crawford in 2014. Another knockout victory performance, this time in front of an ESPN audience, and after months and months of holding a No. 2 ranking with the IBF? Manager Steve Feder is confident that will put Beltran over the top with his green card application. So Beltran must fight, and look good doing it. Feder said they considered filing the paperwork after Beltran’s spectacular knockout of Jonathan Maicelo in May on HBO, but they held off for a good reason. “We knew it was worth fighting for,” he said, “to wait for ESPN and the machine behind it. Once Ray stops fighting, he can’t get a work visa; he can’t stay. Then he would be here illegally. We have to get this accomplished before that. Surely, Feder was talking about both the fight on Saturday and the larger fight to stay stateside. Clearly, Beltran has already shown he’s a player of significance in his sport. But it hasn’t been enough yet to ensure he’ll be able to remain with his family. These are especially hard times in Donald Trump’s America with stricter enforcement on immigration laws. Beltran hopes to fight one more time this year, and if all goes according to plan, he’ll do so as a U.S. citizen. So Feder is hard at work collecting letters of support and favorable press for a process that will take four to six months. The motivation? Far greater than simply earning a world title. The moment? It’s not here yet, but Beltran can envision it; taste it. Soon enough, he could be both a champion and a U.S. citizen. Then, and only then, can he rest.